In true Lyle McDonald fashion, this is a continuation of a series of articles on specific sprint training for the 100 to 400 meters. Since November is around the corner, I want to discuss special endurance “magic workouts” and those workouts depend on whether you have an indoor track or not. The 4 x 4 x 60m workout is suited for those going indoors. I talked about special endurance “magic workouts” previously. Here is another. First, a reminder of Training Volumes and Recovery. In my case, it’s always a maximum of 1000m total volume. Anything more, and I find the quality drops for my training group. Yours may vary. A classic special endurance workout is the 2×500m, with a full 15-20 minute recovery. You should see the look at some of the quarter-milers faces when they see this workout posted on the weekly workout board. Some of them FEAR the workout, and try to get out of it (i.e. last minute dentist appointment, or mystery jury duty, etc). People will do almost anything to stay in their comfort zones. If you want to accomplish anything in life, get out of your comfort zone, and that means over-distance work. How much recovery is enough? Where and when does the quality drop? This is where the controversy begins. Some coaches love long full recoveries. Some like shorter recoveries. When we were training in Vancouver in the winter, standing around outside in the cold wet track for 30 minutes between reps can get uncomfortable. (Thank God for the shed!) So for cold weather cities, you may want to modify a workout for shorter recoveries in special endurance sessions. If there are classic coaches who like the short recovery in workouts, credit would have to go to Clyde Hart and Pietro Mennea’s coach. 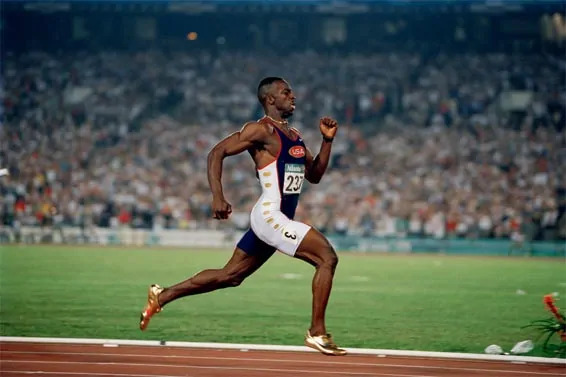 The Michael Johnson “60-40 workout” is more of a speed endurance type of workout, but I thought to mention it here because of the short recovery component. I covered that workout in the Michael Johnson’s Speedwork Training article. The “60-40 workout” comprises of 2 sets of 2 laps of 60-40: 60m at 95% then slow down 40m followed by an easy jog of 40m, usually by going back 20m and then turnaround to the next starting point. Rinse and repeat until you reach the starting line (which is 4 reps). Rest 5 minutes between sets. This is very similar to my 4×60m “turnaround” indoor workout for speed endurance, though I prefer a full recovery of 15-20 minutes between sets (again, this is just me). I turn around and go. No jogging for rest. Your lungs and legs will be on fire pretty quickly, and watch the quality of that last 60m run. If it degrades too much, you may want to ditch it until the athlete can handle those speeds and volumes. The 4 x 4 x 60m workout is simply 4 sets of 4 x 60m, where you put a cone at the 20m mark, and with a standing rolling start (or 3-point pike start) you accelerate until 20 meters, then maintain the last 40. As the weeks progress, you put a cone at 25m (maintain 35m), then 30m (maintain 30m), and so on. The recovery can be a longer one where the walk back to the start (3-5 min), or a shorter one where they “turnaround” and go again. You may want to separate your 100 meter sprinters from the 400 meter specialists here. By controlling the acceleration portion, this becomes a special endurance session, and not a speed session, or speed endurance session even though the distance is “only” 60 meters. Of course, there’s no way you can run a full 60m acceleration for 16 quality reps (unless you are Pietro Mennea) . If you do, cut the number down to 4-6 and call it speed endurance session, and call it the day (For speed endurance sessions, I rather see progressive, like 60, 80, 100, 120, 150.. a total volume 500m. Again, refer to the Ben Johnson Magic Workouts article. The indoor season starts in december. 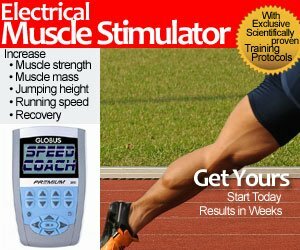 When can i start workouts like 100m turnarounds or 4x4x60? Now i make the 200s at 28sec and the 6-5-4-3-2 in 200 splits from 32-28sec.For the speed i have done more of training starts and slowly go over to flyin runs and longer sprints. @taylor, 100m turnarounds are recovery workouts for the “easy days”. You can start special endurance anytime, like 2x500m but you can try the 4x4x60. hi jim, great article and love your website i am a constant visitor and owe alot of my knowledge to the site. Sorry to get off topic here but just have a question in regard to indoor tracks – do you know of many in northern Italy that are full 200m? i live in France near the border but both Italy and Switzerland are closer to me than any of the ones in France. @cory, sorry, the **ONLY** 200m indoor track in Italy is Ancona, where they hold all the indoor meets. no problems that is all i could see on my research, thank you very much for looking. Shame they disassembled the one in Torino! After my 400 my coach suddenly changend my workout and I had to run 4x250m (29secs), I think it is too much what do you think about it?